Reunion Lawn Party & GeO Deck Giveaway! Dallas's biggest backyard party is back for the summer and kicks off this Saturday, June 25 at 6:30pm! 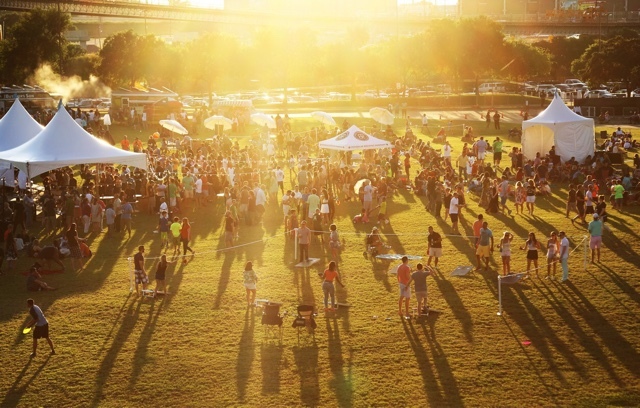 For the rest of the summer, on the last Saturday of every month (June 25, July 30, and August 27), there will be live music, brews, food, and games at the Reunion Tower Lawn for all Dallasites to enjoy. So go ahead and mark your calendars now! Click here for more information, including the line up for music and food trucks.